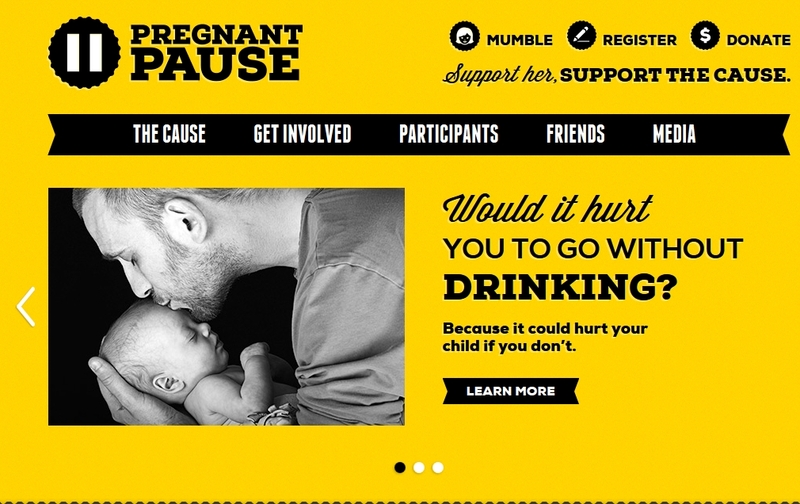 Launched last week, the Pregnant Pause campaign is challenging ‘dads-to-be’ and all Australians to support someone they care about through their pregnancy by taking a break from alcohol. By pledging to take a break for a month, three months or the entire pregnancy, Pregnant Pausers are raising money for those affected by FASD. “Most likely, she’s planning on giving up drinking for the duration of the pregnancy to ensure she has the healthiest baby possible. Sometimes, peer pressure adds up – half a glass of red and a bath after a hard day at work, champagne at a birthday party, it’s hard to get away from. It’s at those times, even when we’re talking half a glass, you can help out. The campaign is making use of social media like Twitter, Instagram and Facebook and has soon‐to‐be parents, Olympic swimmer, Elka Graham, and her husband, Olympic water polo champion, Tom Whalan as ambassadors. The goal of the campaign is to have 500 Australians ‘take a pause.’ See the press release here. The campaign is sponsored by the Foundation for Alcohol Research and Education (FARE), an independent charitable organisation working to prevent the harmful use of alcohol in Australia. FARE is one of the organizers for the first Australasian Fetal Alcohol Spectrum Disorders Conference scheduled to take place on November 19-20, 2013 in Brisbane. 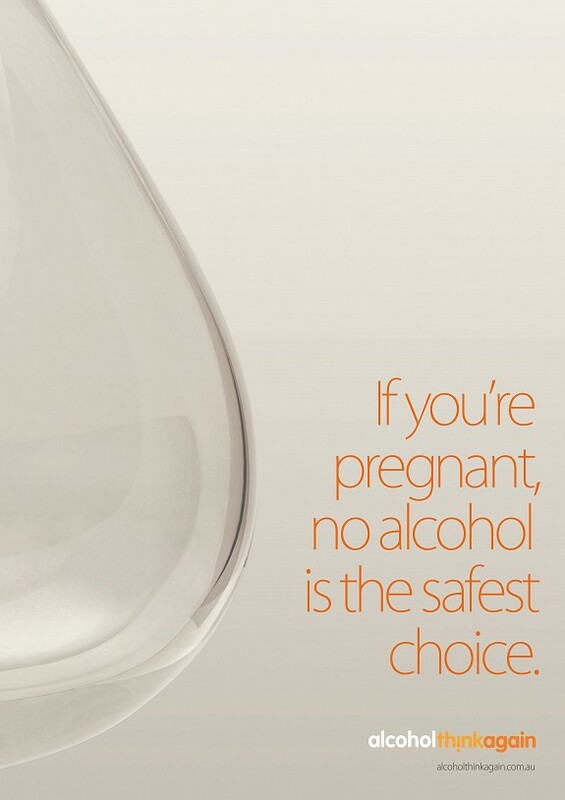 The Australasian Fetal Alcohol Spectrum Disorders Conference is scheduled to take place on November 19-20, 2013 in Brisbane. The call for abstracts will close on 21 June 2013. This conference aims to share knowledge about FASD and bring people together from around the region to exchange ideas, practice, research and policy discourse. The conference is being organized by the Public Health Association of Australia (PHAA) and the Foundation for Alcohol Research and Education (FARE) in association with in association with the National Organisation for Fetal Alcohol Syndrome and Related Disorders (NOFASARD), the Russell Family Fetal Alcohol Disorders Association (RFFADA), Telethon Institute for Child Health Research, University of Sydney, Alcohol HealthWatch New Zealand and the University of Queensland. Check out the preliminary program here. “The Handbook for Aboriginal Alcohol and Drug Work is a practical tool written for Aboriginal drug and alcohol workers, mental health workers and others working in this field. It offers a detailed look at alcohol and drug work from clinical, through to prevention, early intervention and harm reduction. This handbook is also likely to help people working to improve policy and those advocating for change. This plain language, evidence-based guide was created in partnership between the University of Sydney and Aboriginal and non-Aboriginal agencies and health professionals. Four of the six editors are Aboriginal. It covers alcohol and drug use as well as a whole range of other issues, including child protection notifications, legal issues, working with clients without housing, mental health and polydrug use, and community-wide approaches. Chapter 2 focuses on alcohol and Chapter 16 focuses on Special situations, settings, and groups, including pregnancy, breastfeeding and early childhood. It discusses the use of brief intervention and counselling approaches in the context of alcohol and pregnancy. It also has sections covering Neonatal Abstinence Syndrome, Alcohol use in pregnancy and Foetal Alcohol Spectrum Disorders. The handbook was first distributed to alcohol and drug professionals from around Australia at the National Indigenous Drug and Alcohol Conference in Western Australia in June 2012. The project started in 2010 with a grant from the Foundation for Alcohol Research and Education (FARE) and continued with the support of the NSW Ministry of Health. The handbook is available online. 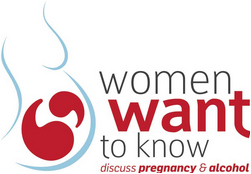 This recent media campaign from Western Australia uses a peer-to-peer approach, “a call to action from women, to women” to raise awareness of people affected by FASD and the impact it has on their lives. The campaign was developed by Goolari Media, a fully owned Indigenous company, and includes a TV ad which has been broadcast on Goolari’s digital service throughout Broome, a radio advertisement broadcast in the immediate Broome area and throughout regional and remote communities in the Pilbara and Kimberley regions, and the distribution of the ad on DVD to regional health professionals. This is an example of a targeted public education campaign which focuses on indigenous women in a particular region of Western Australia. The ad is intended to be supportive and encouraging, with women speaking directly to other women. The project has been funded with a grant of $19,720 (AUS) from the Foundation for Alcohol Research and Education (FARE), and was one of 17 grants awarded to community organisations throughout Australia as part of the 2011 Community Education and Engagement Grant Funding Round.